I'm not a big fan of the Mission Impossible movies, but that track is killer. Play it while you read our tips and tricks to survive and win in PUBG and get pumped up for your next match. Presumably these Mission: Impossible challenges will be merely difficult. Completing the challenges will reward your account with “Agent IDs,” which are then used to unlock outfit items based on what Tom Cruise wears in the movie, including a special jacket, pants, and boots. This promotion recalls the previous crossover event of battle royale rival Fortnite with Avengers: Infinity War, and given how pop culture trends take off, likely won't be the last time either of themes games team up with a Hollywood blockbuster. 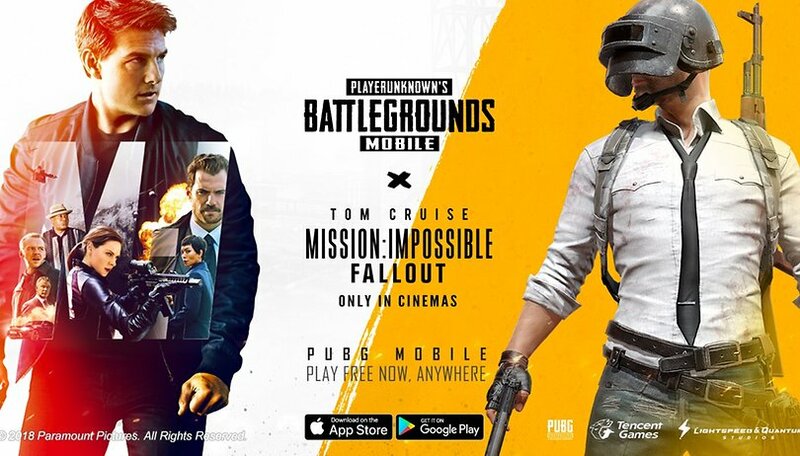 Unlike the Fortnite promo, however, the Mission: Impossible content is exclusive to the mobile version of PUBG. To access the Mission: Impossible event on PUBG Mobile, just load up the game and wait for the update to finish. Good luck, everybody. Have you tried the Mission: Impossible challenges on PUBG Mobile? What do you think of the rewards? Not a fan of cuck G, sorry meant Pub G. I'd rather play Escape from Tarkov.